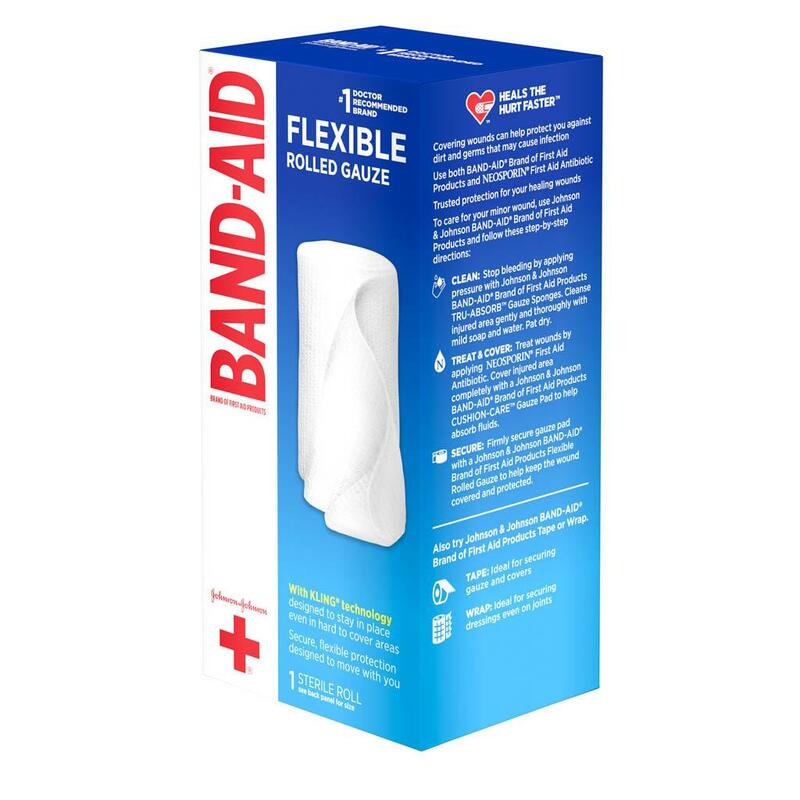 Use BAND-AID® Brand Flexible Rolled Gauze to secure gauze pads or nonstick pads in hard-to-bandage areas. 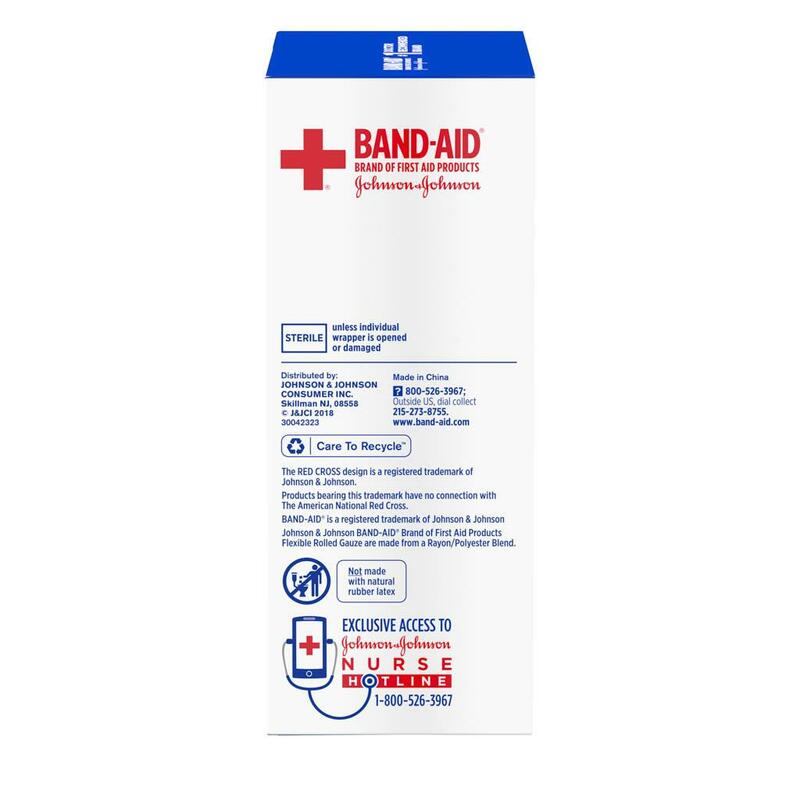 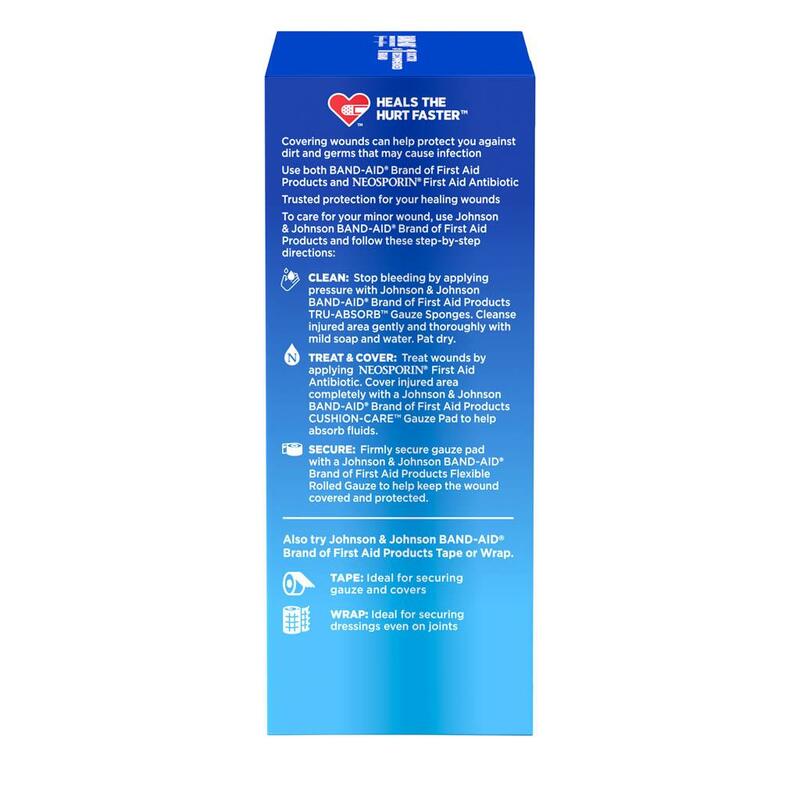 This first aid gauze has a special KLING® design, so it can secure to itself to stay in place, eliminating the need for tape. 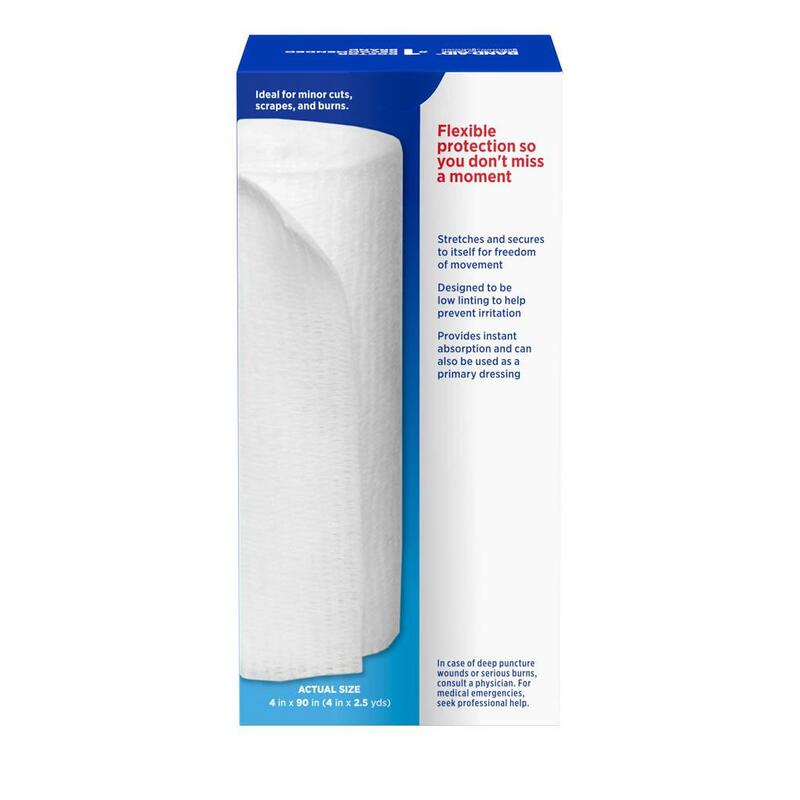 It also stretches and allows freedom of movement. 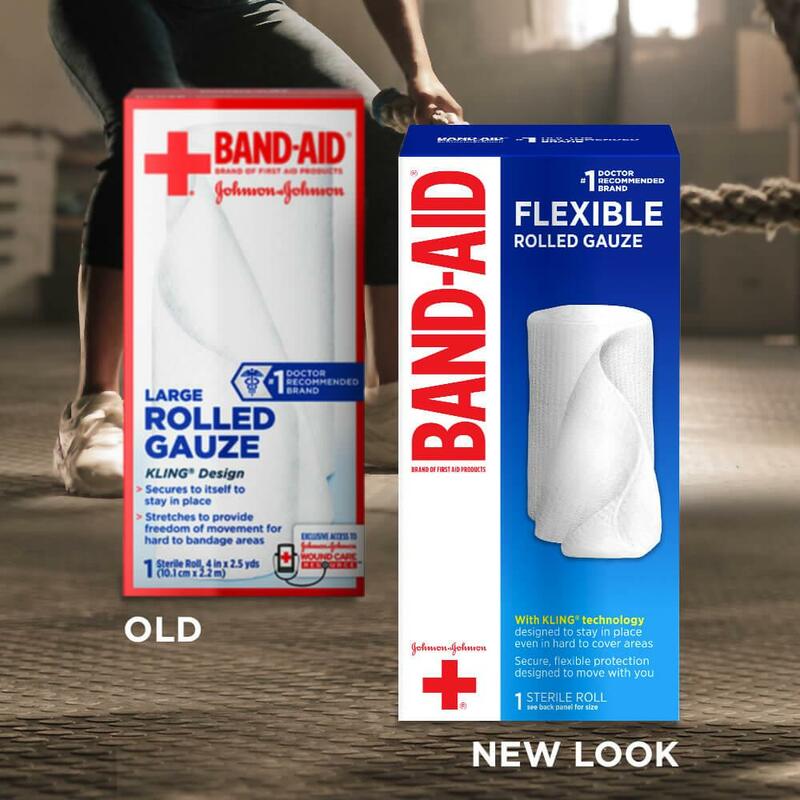 With instant absorption, BAND-AID® Brand Flexible Rolled Gauze can also be used as a primary dressing.